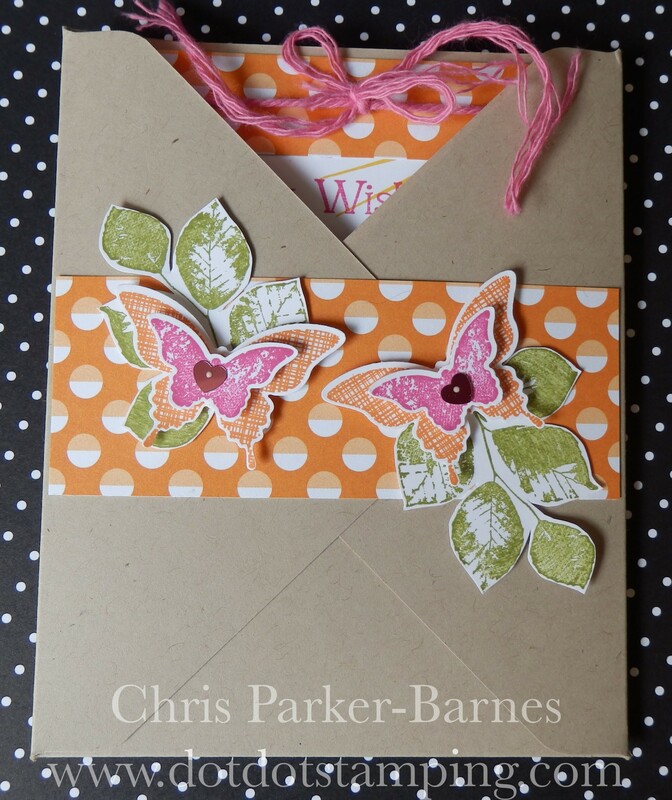 The current challenge at Crafty Boots Challenges is to use a Butterfly on your project. I do. And I certainly love using them on my cards and papercraft projects. This card was fairly quick and easy to make up, and again, uses some of the gorgeous new Stampin’ Up! products about to be released. The lovely embossing folder which is framing the sentiment is called Floral Affection, and comes as a set of two folders. I just happen to love my embossing folders, so they are always top of my wish list! 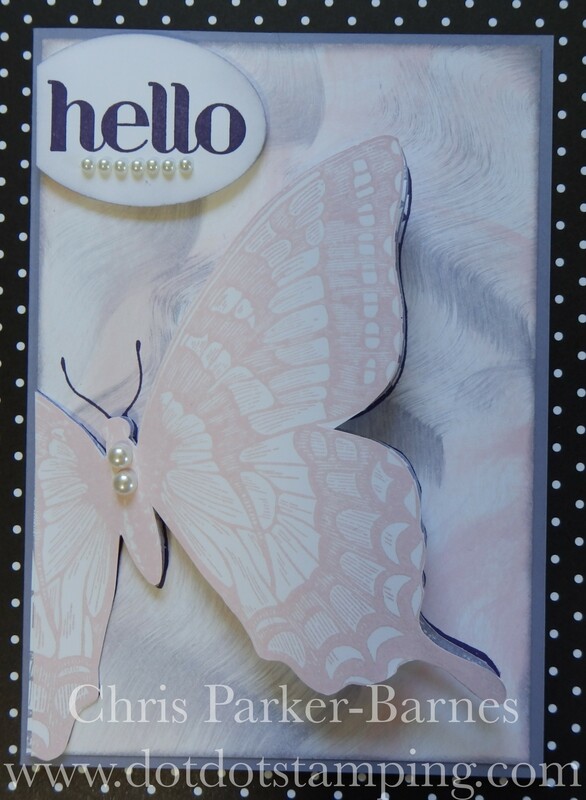 This card also uses my favourite of the new In Colours, called Sweet Sugarplum, and the butterfly is die cut from the new Playful Palette paper stack. 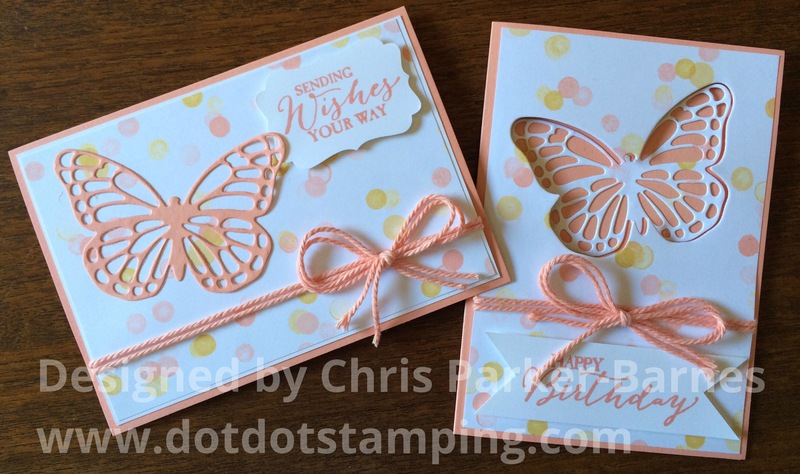 A couple of quick and easy cards made with the beautiful Butterflies Thinlits Dies today, as a reminder about the current Crafty Boots Challenge. I have kept them nice and simple today, just some pretty papers and some Baker’s Twine. The card on the right is a little different, the butterfly has been cut out of the entire front panel of the card, so that there is a hole in the front when the card is open, and the butterfly is adhered to the inside of the card and can be seen through. 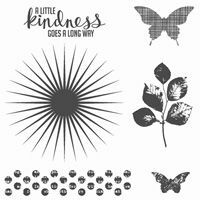 Make any project you like, as long it has butterflies on it, and we would love to see it! Happy Australia Day to all the Aussies, I hope you had a great day! 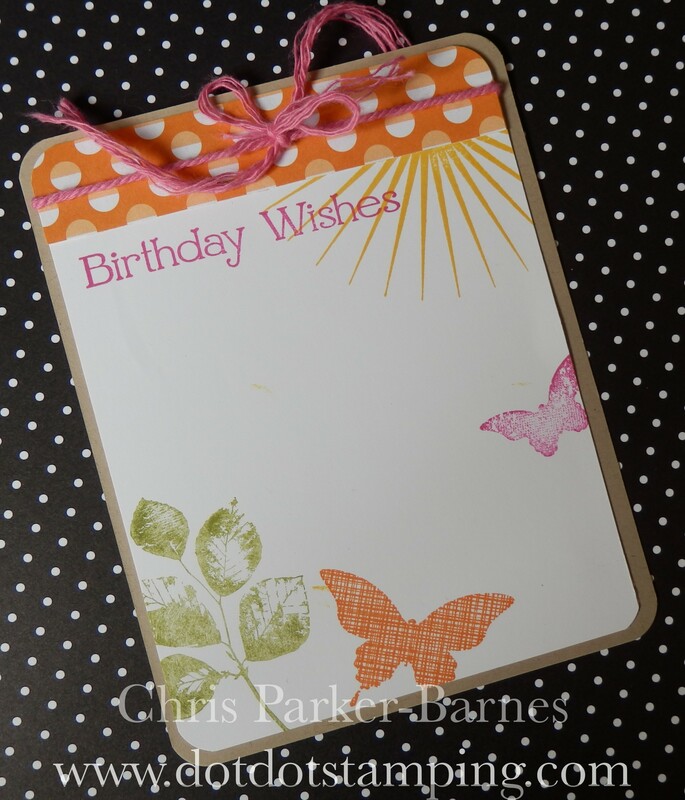 My first card uses some of the Painted Blooms Designer Series Papers, which are just sooooooo beautiful. I didn’t really want to cut it up, but if I don’t it will add to my ever growing stash! 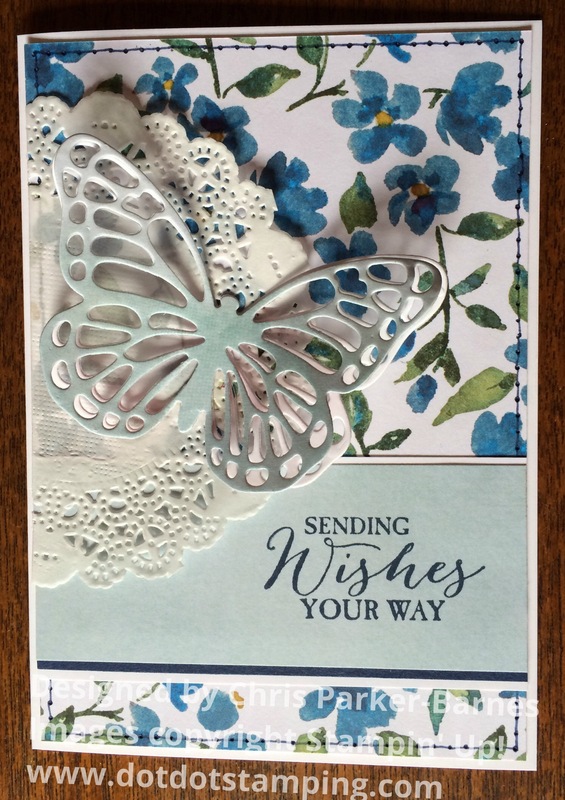 I have cut two butterflies, one from white cardstock and then the top layer from the blue watercoloured paper in the Painted Blooms DSP. 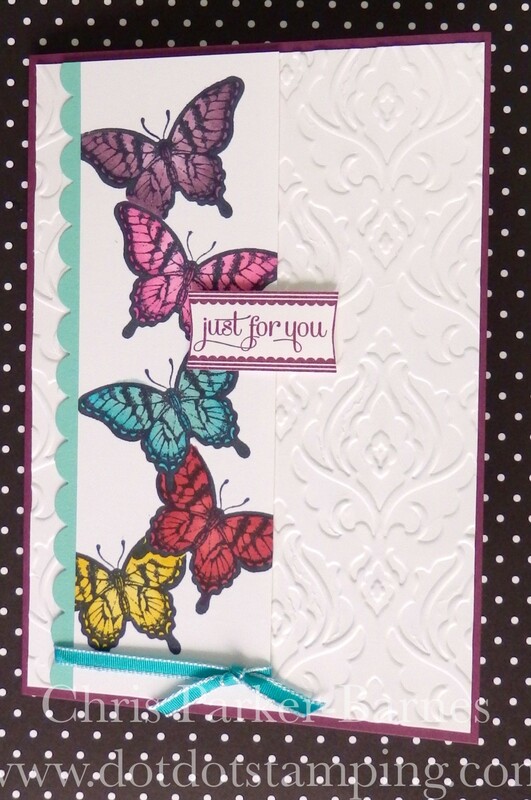 The sentiment comes from the new stamp set (which is bundled with the dies) called Butterfly Basics. This gorgeous image is from Art By MiRan, the papers retired a loooong time ago, and the flowers are from the above mentioned large stash of crafting goodies, and of course, the butterfly was another cut with my new Thinlits. Oh, should I mention Faux Stitching?? 🙂 It hasn’t featured a lot recently, so I thought I high time to bring it back! 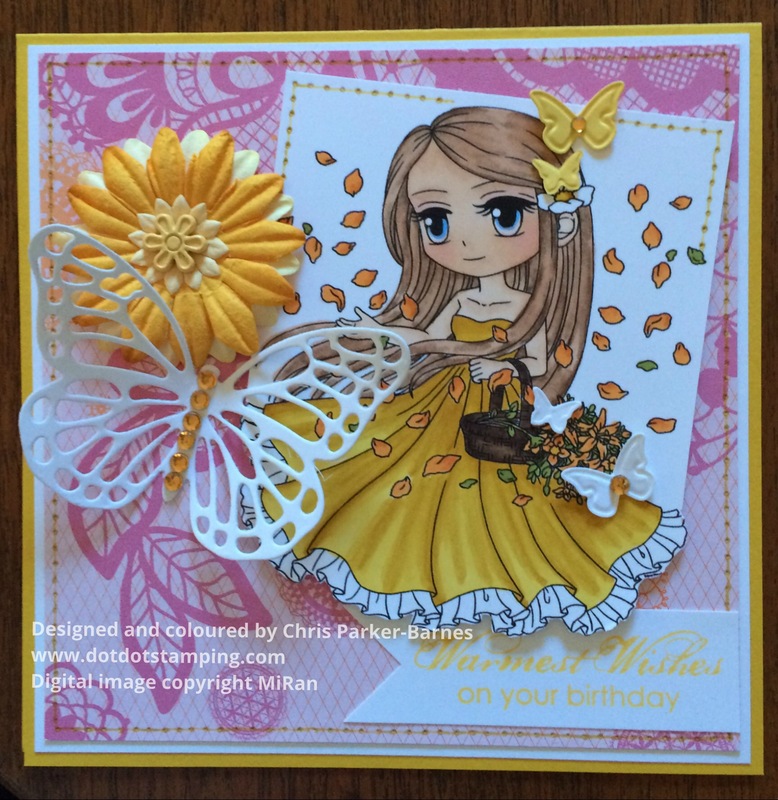 I hope you like them, and hope they inspire you to join us with your own butterfly creations at Crafty Boots Challenges. 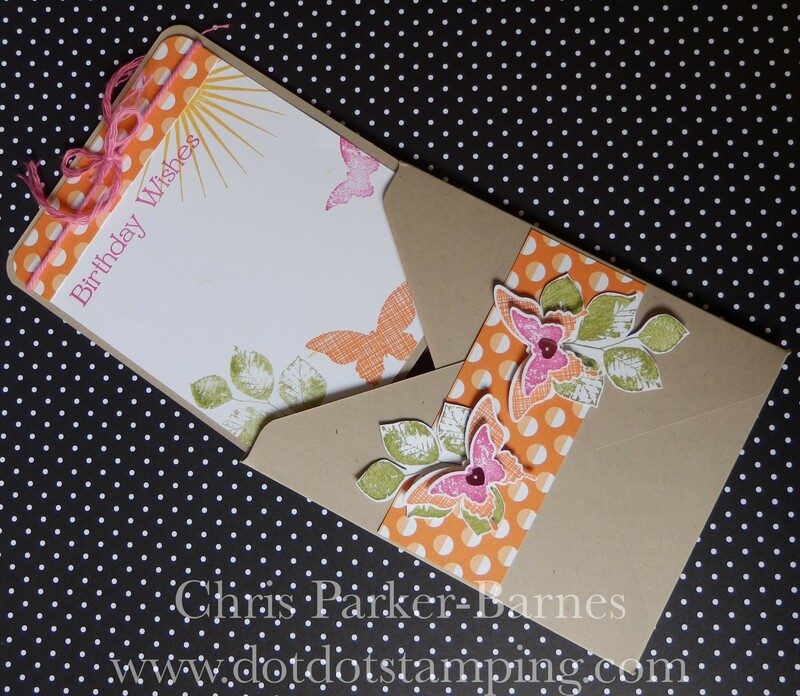 One of my favourite ways of adding texture and interest to cards, and other projects is with Embossing Folders. I think I am addicted to them! This card was inspired by one I saw on Pinterest recently (it didn’t have a name on it, so unfortunately I can’t give the person credit for their idea), and since I am also currently addicted to my Blendabilities, I thought I should combine the two. 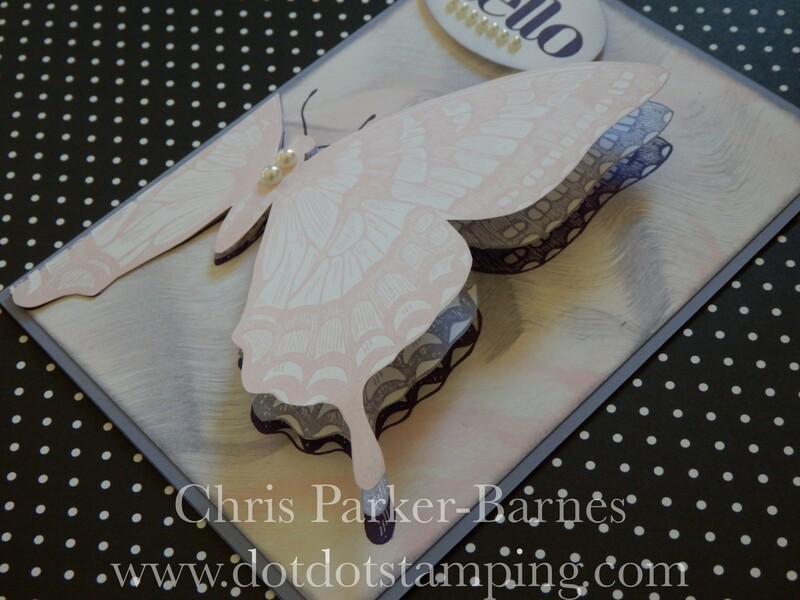 The background was embossed with the Beautifully Baroque embossing folder, and the butterflies from the Papillon Potpourri stamp set were masked, stamped in Black Memento Ink and then coloured with the Blendabilities. Today I am sharing with you a card that I made a while ago now, which I have updated a little to make a little more interesting. Originally this card was a single layer card which we made in a technique class. I wanted to dress it up a bit though……. 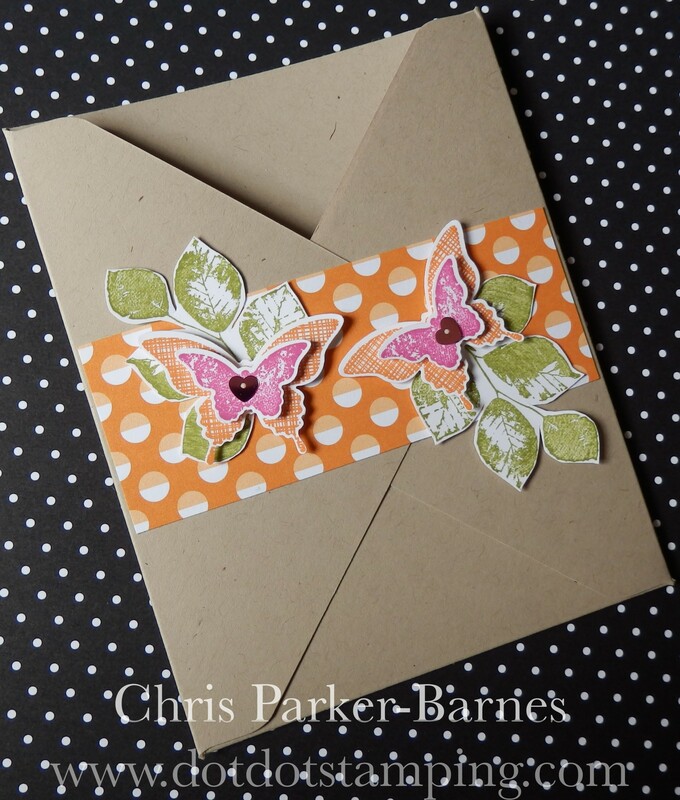 I have added two layers to the butterfly, which was originally just stamped onto the card in Elegant Eggplant ink. So I have stamped the Swallowtail in Wisteria Wonder, and another in Pink Pirouette, and have then cut out the two butterflies and layered them over the original one. Here is a better photo of the layers. The “Hello” greeting comes from the Four You stamp set. This fellow was sent off as a RAK (Random Act of Kindness) recently, so I hope the recipient liked it.